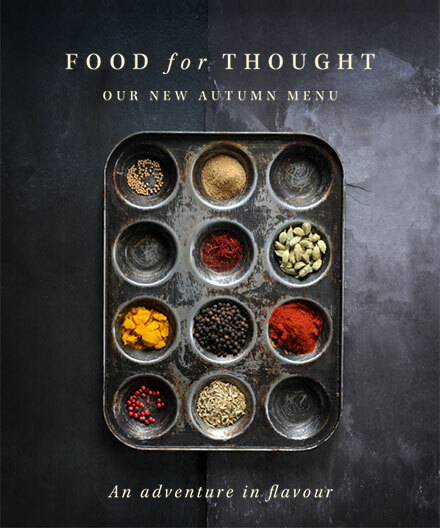 Our new autumn menu has arrived. What sets us apart from the rest is our genuine love of food. From the big cheese down (or should we say the ‘grand fromage’) – we know food better than most & we know you know food too. Who else would bring you classics such as soufflés, snails & steak frites alongside adventurous autumn dishes from succulent pigs’ cheeks to rich, slow-cooked venison and roast hake with seafood & saffron? Desserts are divine – caramel soufflé, crêpes suzettes and Normandy apple tart are there to tempt & treat at the end of any meal. We know you’ll love our new autumn menu so stop by soon & treat your tastebuds ‘chez nous’.